Hahaha Yamamoto singing! Aizen and Urahara talking! Tsukishima chef! so epic! 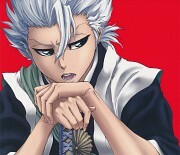 Oh, Rukia, why so cute?! 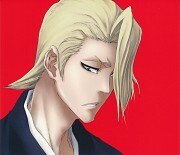 Ichigo, you clothes as... diferent. I love Ichigo jacket it so abstract and it have a nice color to it. I love Ichigo jacket it's so abstract looking, love the designs and the colors on it. This is so cute :) I love when all the characters come together XD Thanks! 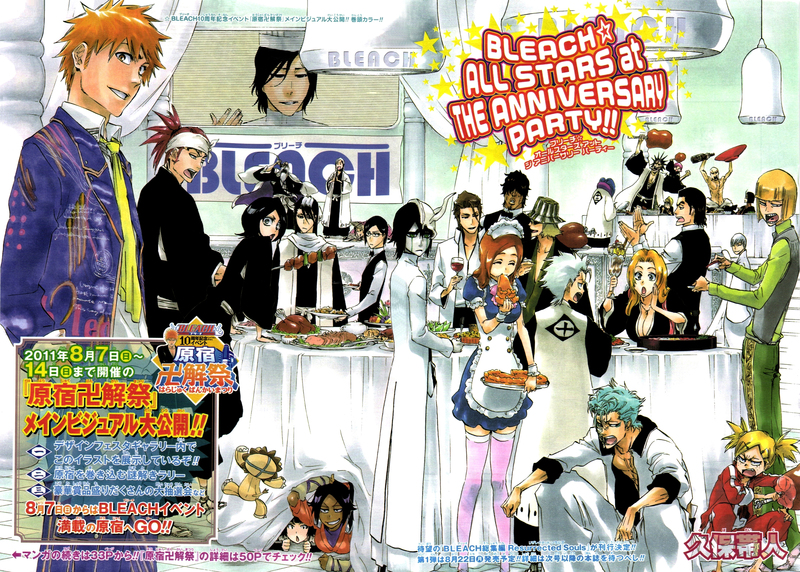 -and what are soi fon and yoruichi is doing under the table? 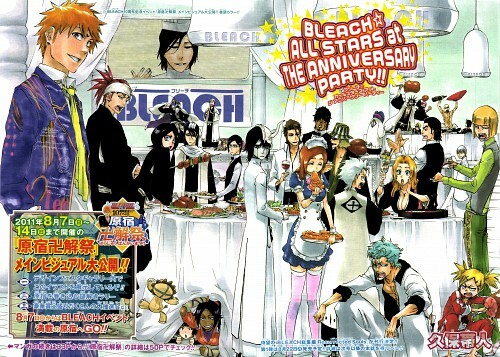 -and mayuri is just staring at kenpachi group whom having fun... maybe he's annoyed..
-tsukushima as a chef...not bad meh..